John Eckenrode is Professor of Human Development and Associate Director of the Bronfenbrenner Center for Translational Research. He is also founder and Co-Director of the National Data Archive of Child Abuse and Neglect. His research concerns child abuse and neglect, the effects of preventive interventions, translational research, and stress and coping processes. 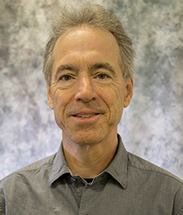 He is a social psychologist (Tufts, 1979), has authored numerous journal articles and chapters, and has edited three books, Stress Between Work and Family (with Susan Gore), and The Social Context of Coping, and Understanding Abusive Families (with James Garbarino). In 1997 he and his collaborators on the Nurse Home Visitation Project received the annual research award from the National Institute for Health Care Management in the maternal and child health care category. In 2016, he received the Nicholas Hobbs award from Division 37 of the American Psychological Association. In 1995, he received the Robert Chin Memorial Award from the Society for the Psychological Study of Social Issues (SPSSI) for the best paper on child abuse and neglect that year. He is a fellow of the American Psychological Association (Div. 7). Child abuse and neglect: Dr. Eckenrode has conducted research studies and participated in other outreach efforts in the area of child abuse and neglect. These efforts include research on the characteristics of official child maltreatment reports, the academic effects of child abuse and neglect. He also co-directs the National Archive for Data on Child Abuse and Neglect which supports researchers interested in the secondary analysis of child abuse and neglect data. Prevention and Translational Research: Dr. Eckenrode has been a co-investigator of a long-term evaluation of the effects of a program of nurse home visitation on the development of high-risk mothers and their children. He also has a general interest in translational research related to the implementation of evidence-based programs. Eckenrode, J., Campa, M., Morris, P.A., Henderson, C.R., Jr., Bolger, K.E., Kitzman, H., Olds, D.L. (2017). The prevention of child maltreatment through the Nurse Family Partnership Program: Mediating effects in a long-term follow-up study. Child Maltreatment, 22, 92 – 99. Exner-Cortens, D., Eckenrode J., & Emily Rothman, E. (2013). Longitudinal associations between teen dating violence victimization and adverse health outcomes. Pediatrics, 131, 71-78. Eckenrode, J. (2011). Primary prevention of child abuse and neglect. In M. P.Koss, J. W. White, & A. E. Kazdin (Eds. ), Violence against women and children: Consensus, critical analysis, and emergent priorities (p. 71-91). Washington, D.C.: American Psychological Association. Eckenrode, J., Campa, M., Luckey, D.W., Henderson, C. R. Jr., Cole, R., Kitzman, H., Anson, E., Sidora-Arcoleo, K., Powers, J., & Powers, D. (2010). Long-term effects of prenatal and infancy nurse home visitation on the life course of youths: 19-year follow-up of a randomized trial. Archives of Pediatrics and Adolescent Medicine, 164(NO. 1), 9-15. Whitlock, J., Eckenrode, J., & Silverman, D. (2006). Self-injurious behavior in a college population. Pediatrics, 117, 1939-1948. Eckenrode, J., Zielinski, D., et al. (2001). Child maltreatment and the early onset of problem behaviors: Can a program of nurse home visitation break the link?. Development and Psychopathology, 13, 873-890. Eckenrode, J., Ganzel, B., Olds, D., Henderson, C., et al. (2000). Preventing child abuse and neglect with a program of nurse home visitation: The limiting effects of domestic violence. Journal of the American Medical Association, 284, 1385-1391. Olds, D., Eckenrode, J, Henderson, C. R., Jr., Kitzman, H., Powers, J., Cole, R., et al. (1997). Long-term effects of home visitation on maternal life course and child abuse and neglect: 15-year follow-up of a randomized trial. Journal of the American Medical Association, 278, 637-643. Dr. Eckenrode supports the outreach programs of the BCTR, and has been a PI or Co-PI on several Hatch and Smith-Lever grants, including the Translational Research Synthesis Project.